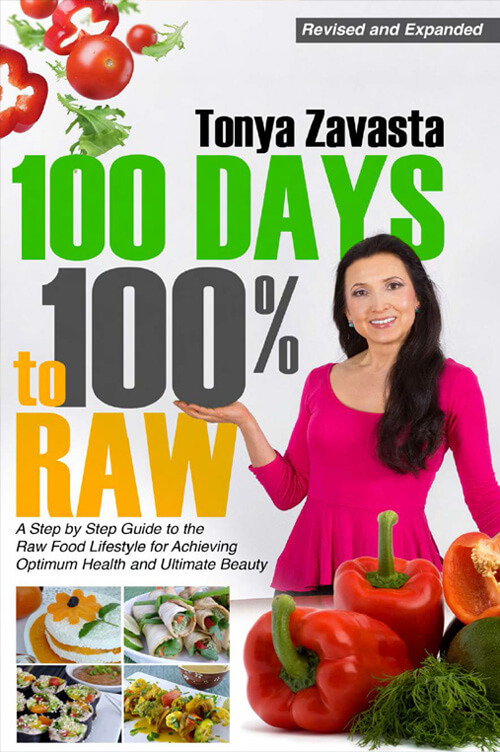 Victoria Boutenko’s name is familiar to most of those living the raw food lifestyle. We all know Victoria for having launched the “green smoothie revolution.” Victoria’s daughter, Valya, is a talented artist and filmmaker. 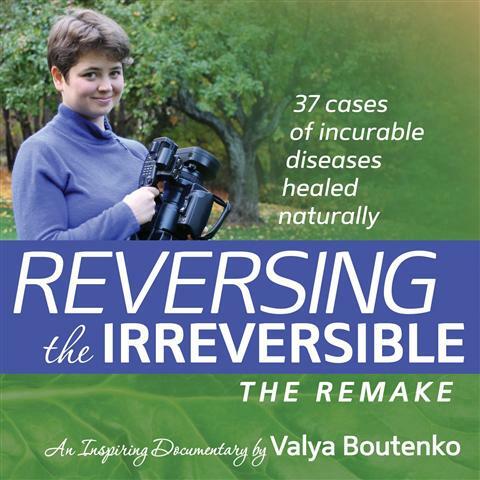 Valya released a documentary film—Reversing the Irreversible—in which she interviews over 30 people offering stories of radical health improvement and triumph over disease, thanks to Victoria Boutenko’s methods. Beyond informative, it’s genuinely inspiring stuff. 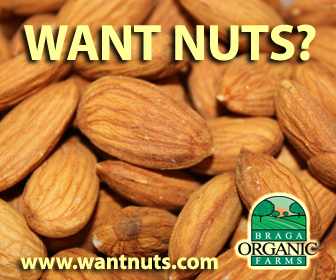 You’ll hear testimonials from each on how raw foods—green smoothies, especially—have changed their lives. Many are amazing, every one touching. One of the most inspiring, for me—Clent Manich, who won hearts and became a poster-boy for our lifestyle when he lost 226 pounds and reversed the symptoms of his type 2 diabetes. Whoever you are, whatever your issues or interests, you’ll find something in this documentary you can relate to personally. You will definitely appreciate the documentary’s factual front: honest testimonies, real people, real results. Valya’s work humbly and eloquently drives home the point that health is our birthright. We can experience that health, say these testimonials, regardless of how ‘irreversible’ a diagnosis may be, if we eat and live as we were intended to. Among the many stories of reversal in this video are diabetics whose blood sugar levels now remain normal, even while consuming fruit. One woman overcame breast cancer. A desperately sick little girl, whose mother had tried everything, became transformed by the raw lifestyle, enabling her to lead a normal life. Among the host of other ailments successfully reversed: hypertension, obesity, psoriasis, colitis, and arthritis. These stories will re-ignite your faith in the healing and restorative powers of a raw food, green-smoothie lifestyle. My unhesitating advice: Get it—see it.